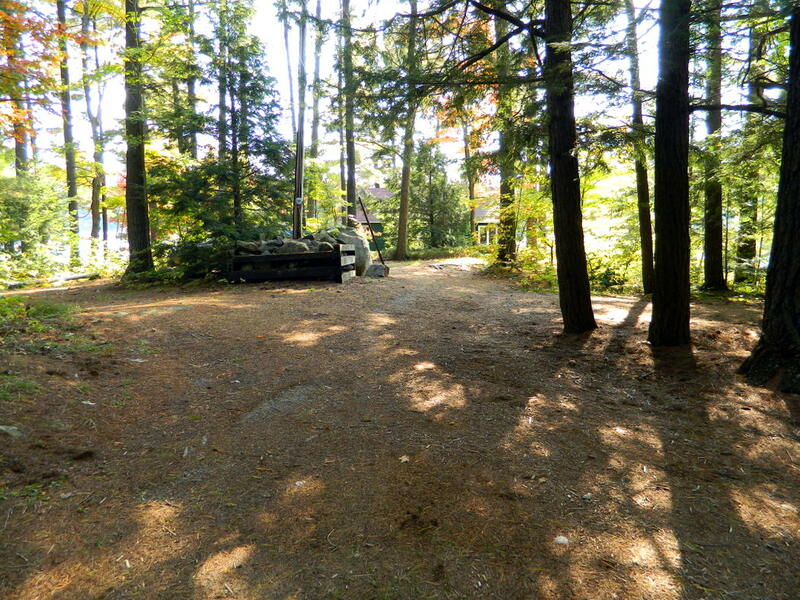 Privacy and Nature are the words that best describe this property at the very end of a private road, with the closest cottage several hundred feet away and out of sight. 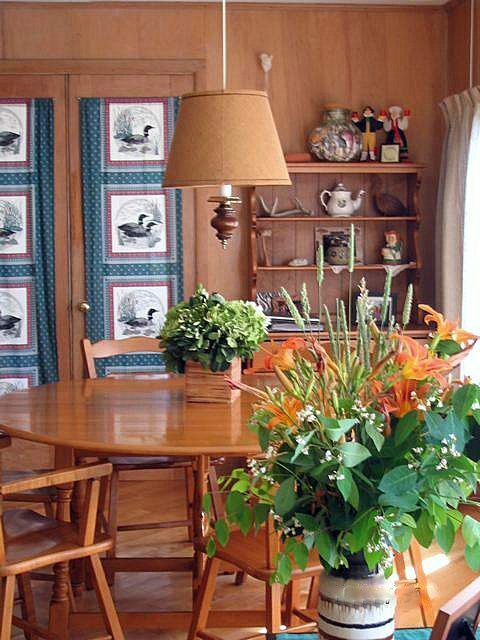 You will love this bright, sunny cottage with exposures east, south, and west along with the best sunset views on the lake. 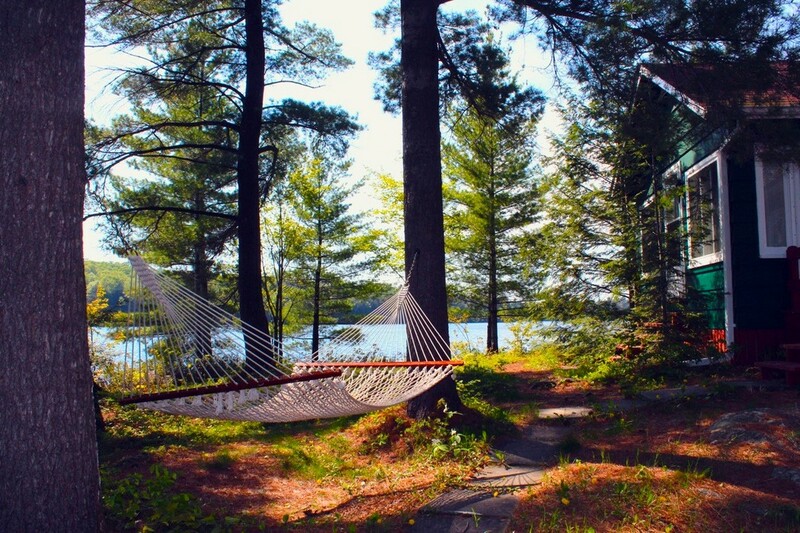 When you're not sunning on the Muskoka chairs on the new dock, you can retire to the hammock under the century old pines. 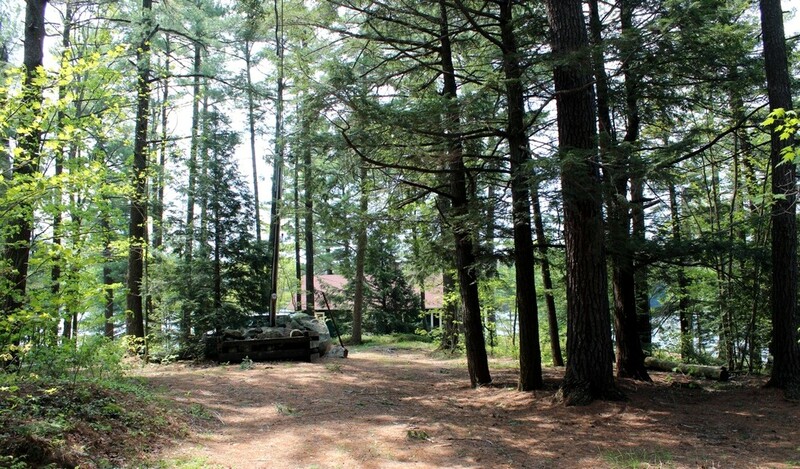 You will have maximum privacy on the 4.5 acre point of land with more than 1,000 feet of frontage and fabulous views of the lake. 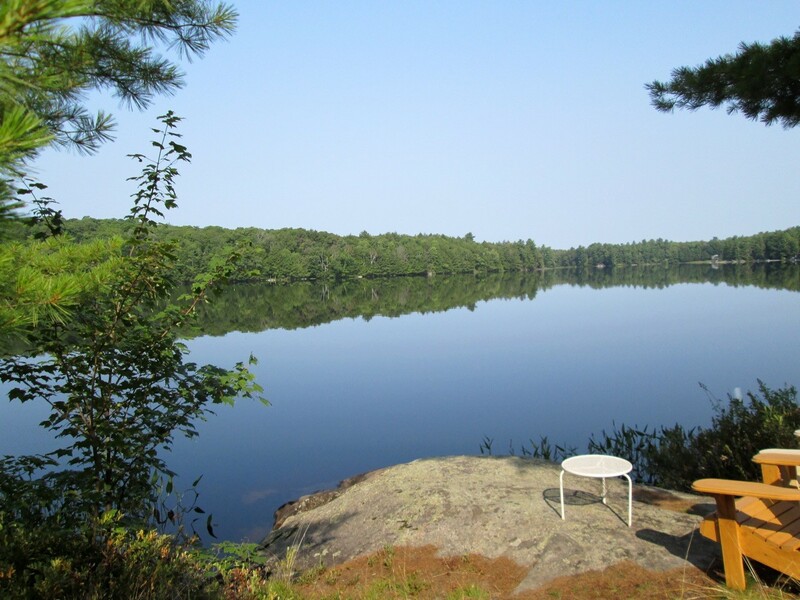 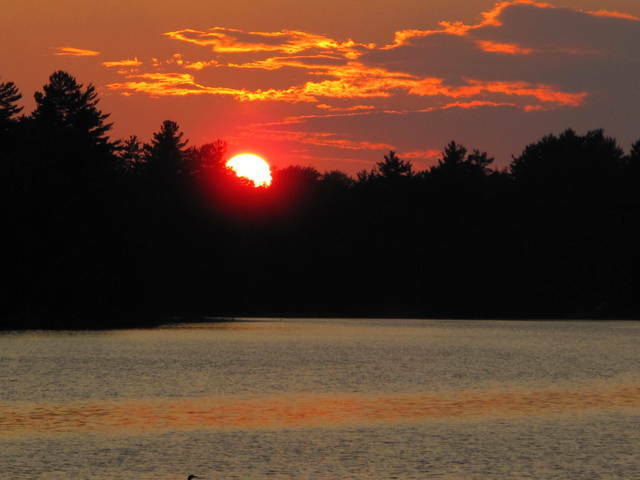 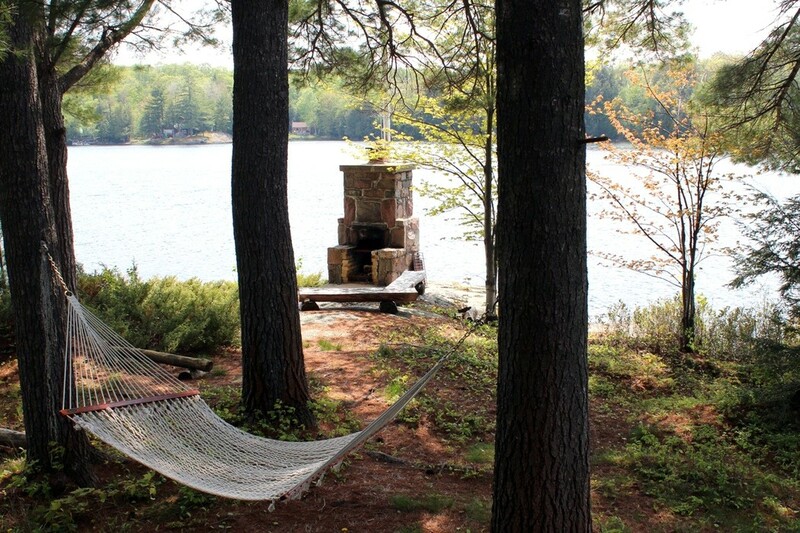 The breezes on the point keep bugs at bay and several resident loons can be heard regularly. 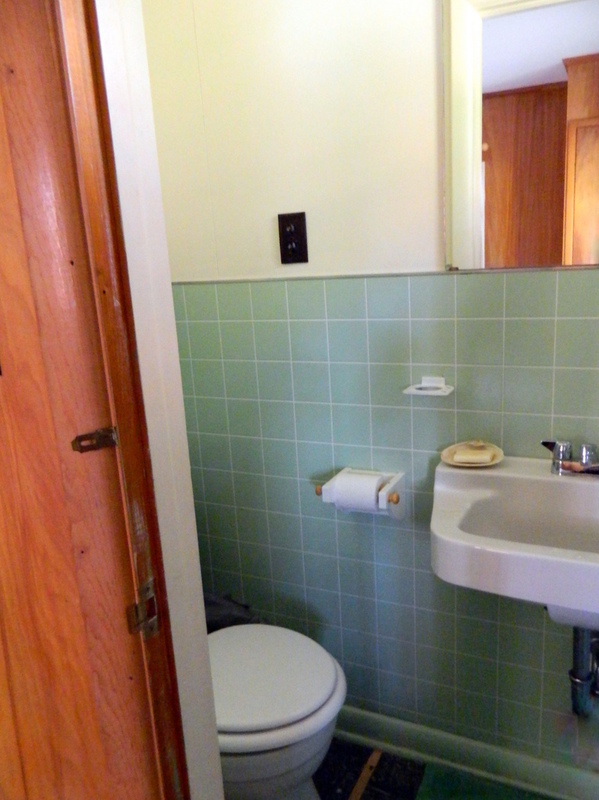 The three bedroom, two bathroom cottage (one ensuite) is at the end of a long private drive with no other cottages nearby. 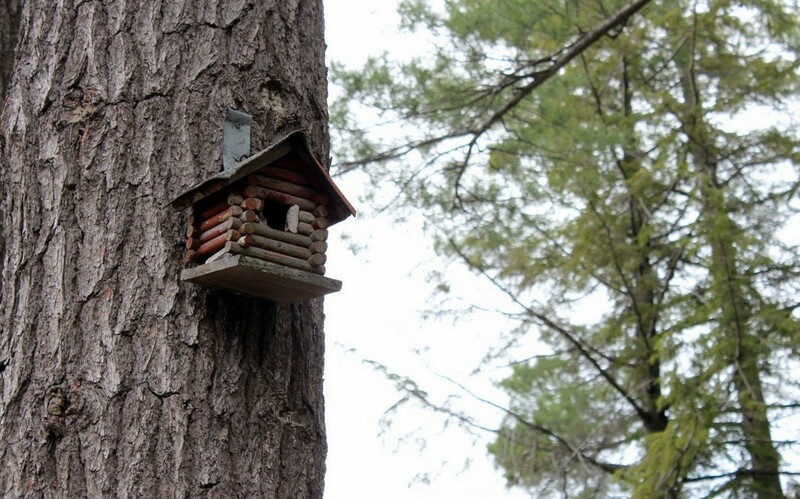 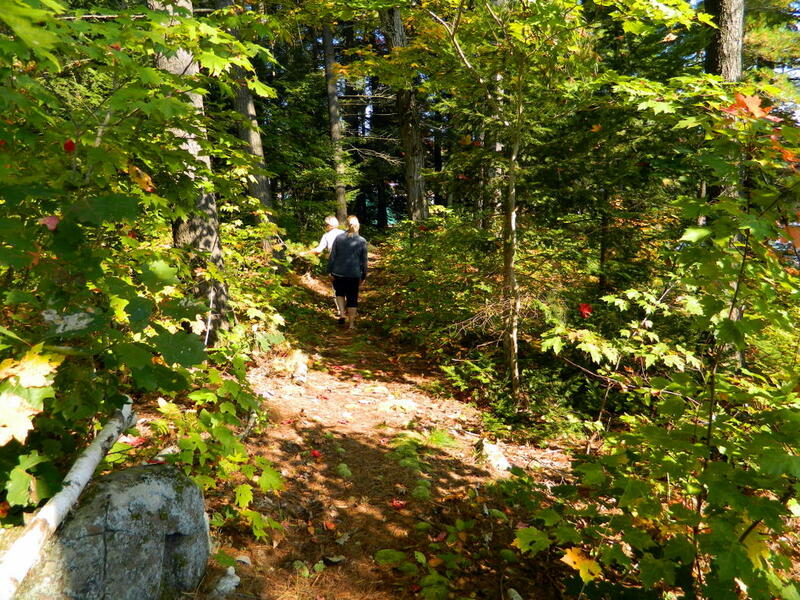 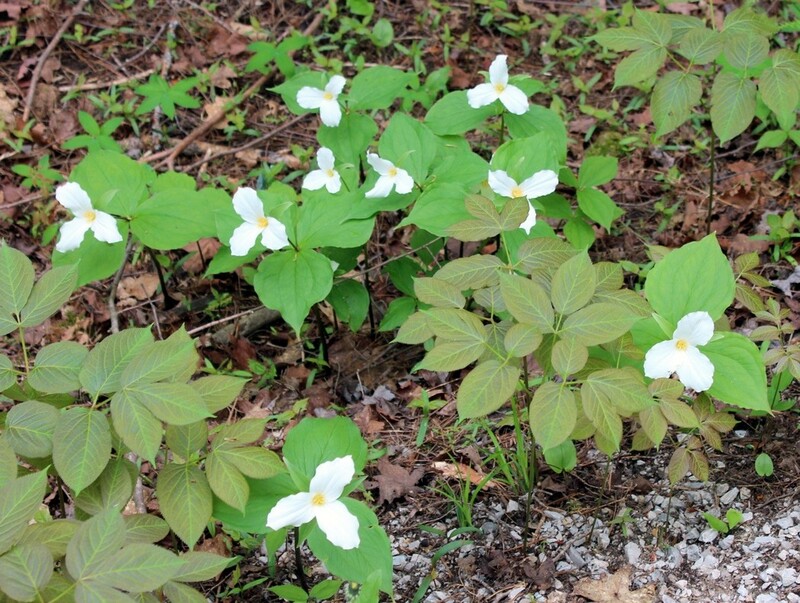 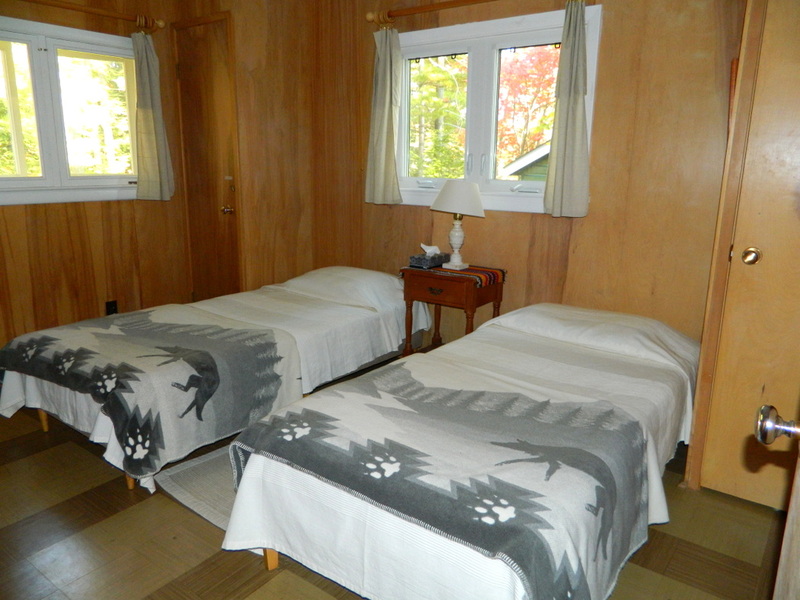 The property is covered with mature white pines, natural vegetation and wild blueberries. 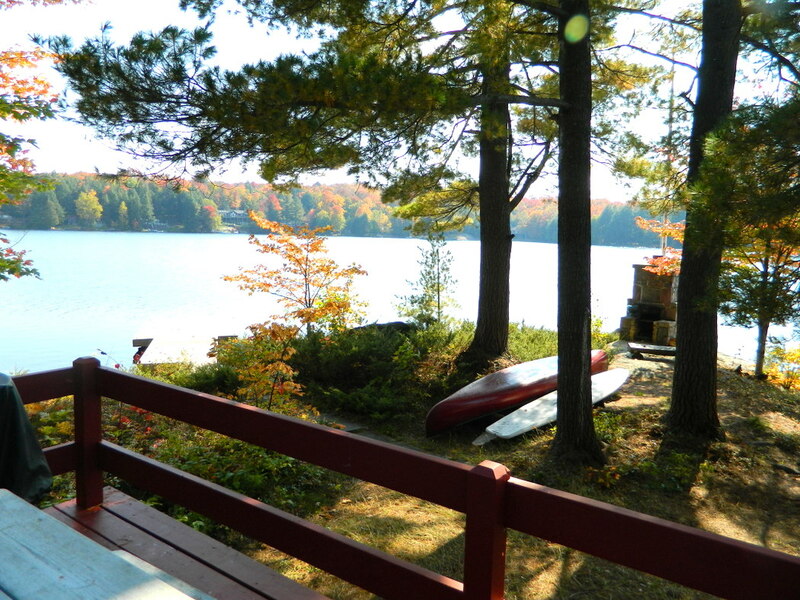 The kids will love to play in the water right in front of the cottage where there is a small shallow bay with a sandy bottom and you can keep an eye on them. 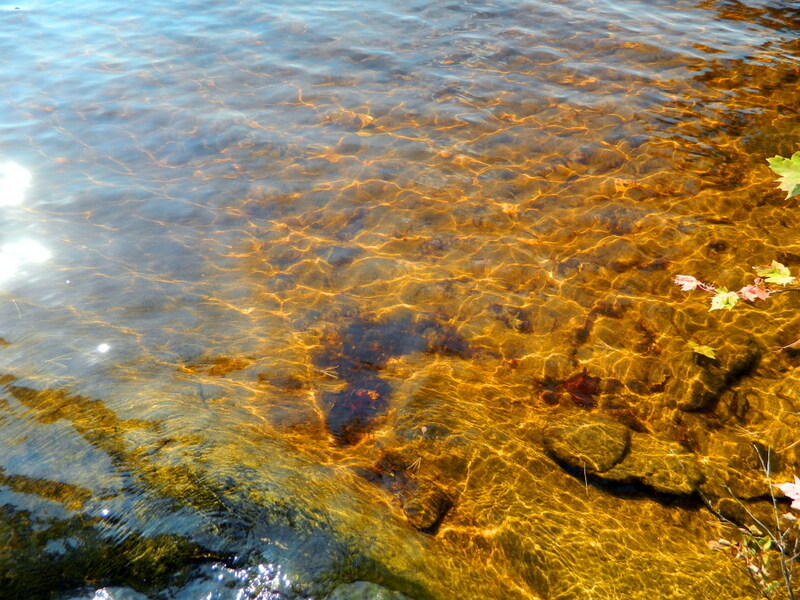 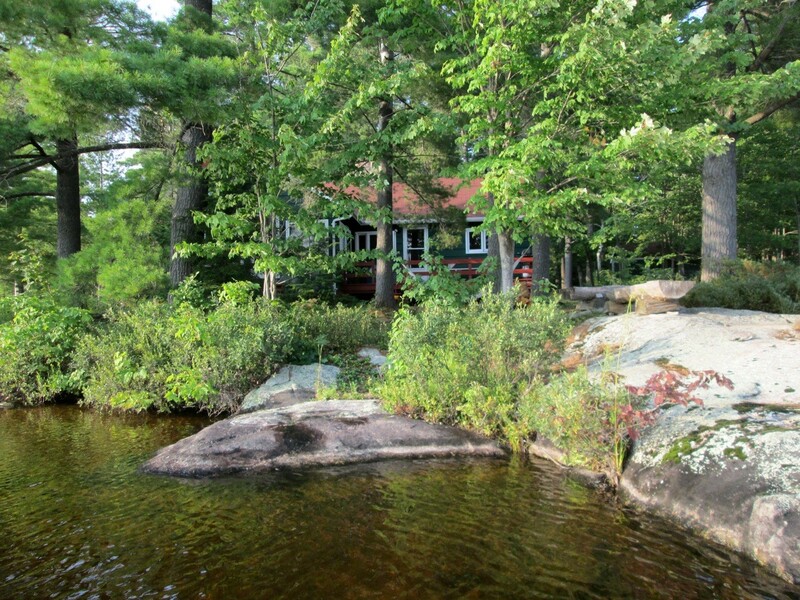 The long shoreline also has granite rock sloping into deeper water further away from the cottage. 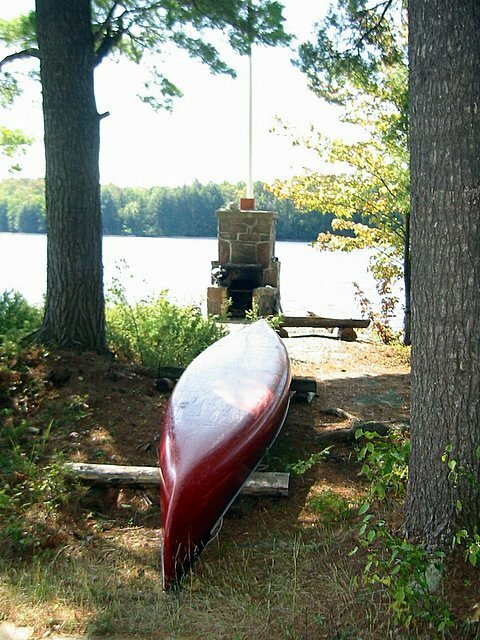 Relax on the dock where you can pull up the canoe and kayak to head out for paddling on the lake. 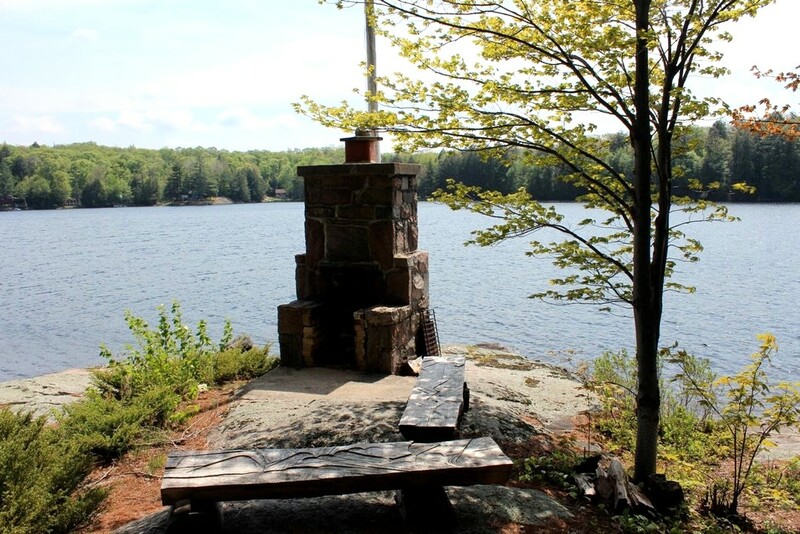 A stone outdoor fireplace on the point is perfect for roasting hot dogs and marshmallows on a stick, and serves as a great place to relax by the fire. 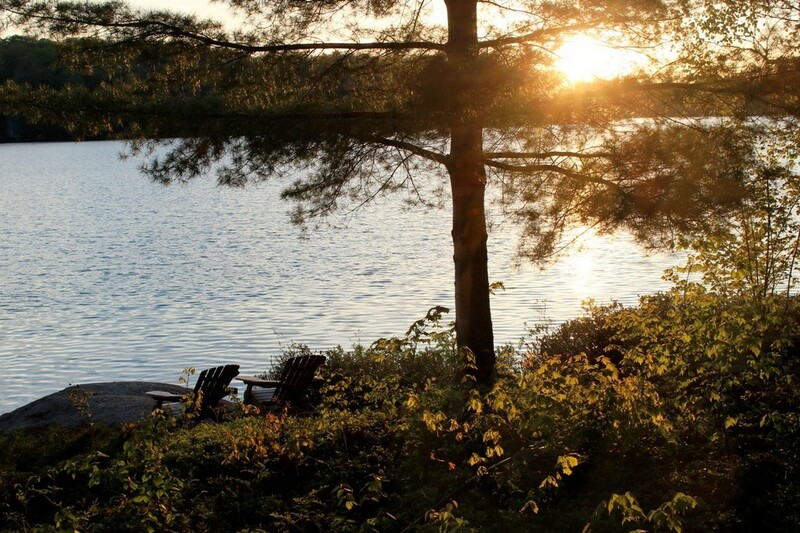 Sunsets are best seen fom our "sunset rock" which is furnished with Muskoka chairs and a small table for wine and cheese. 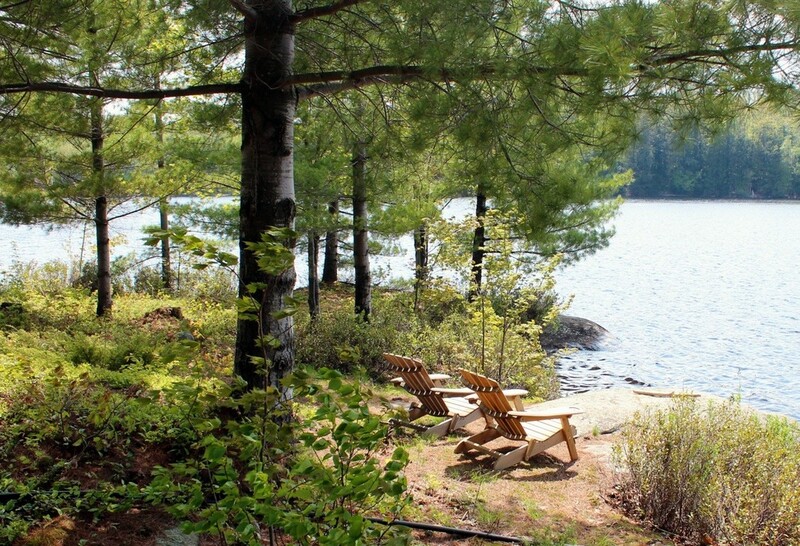 Looking across the lake from the chairs, you will see nothing but forest as the opposite shoreline is not developed with cottages. 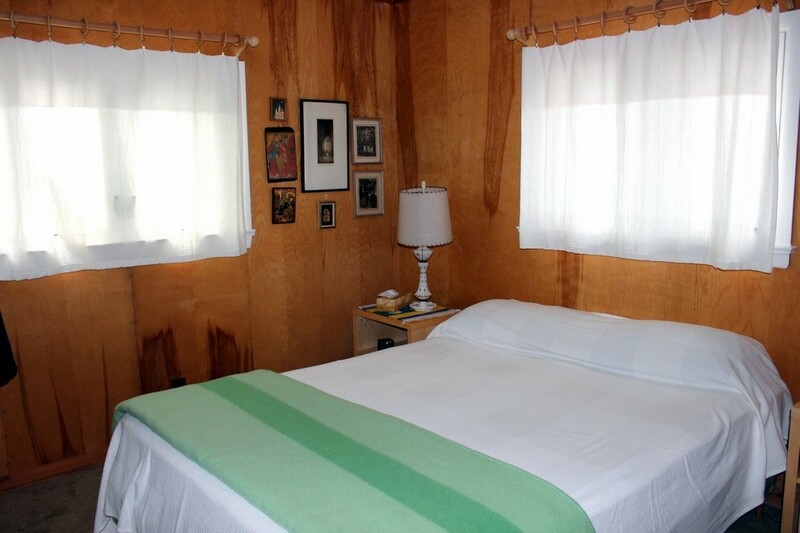 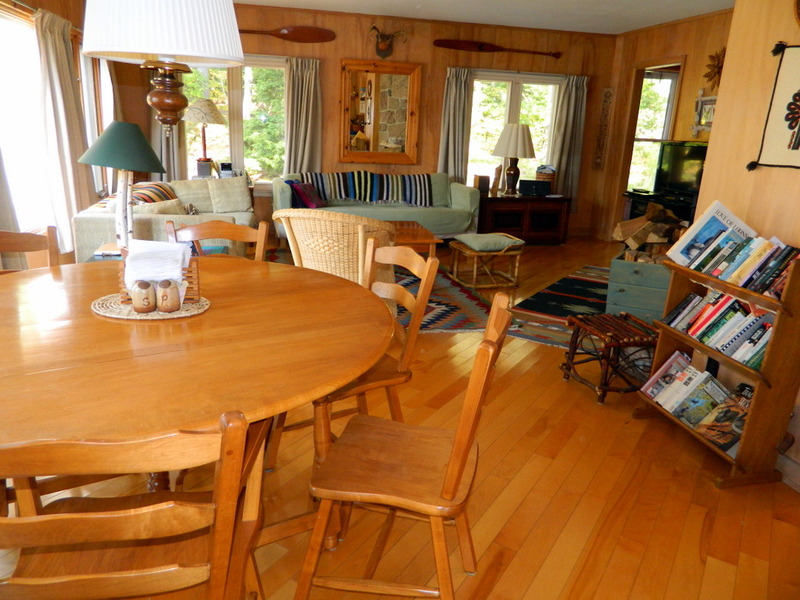 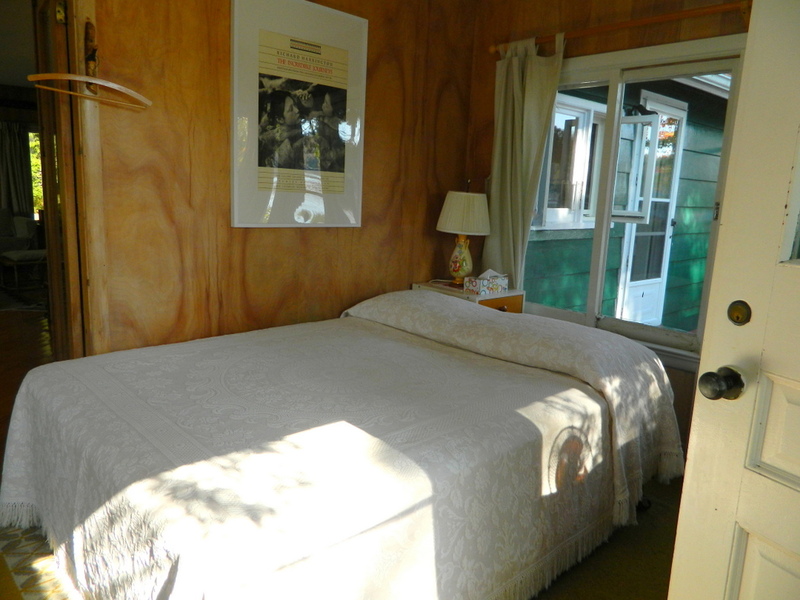 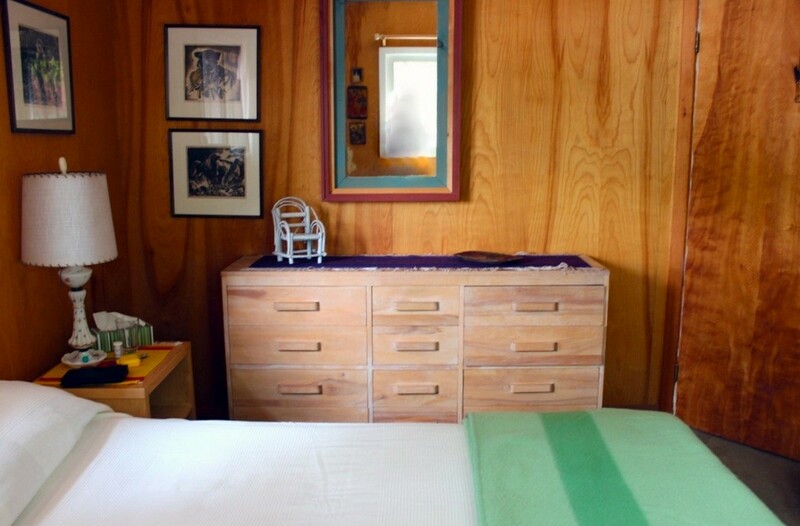 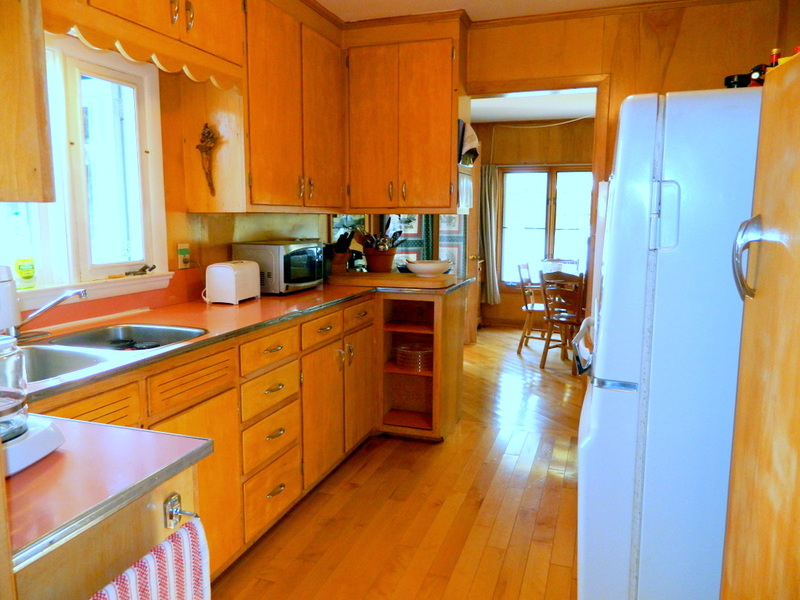 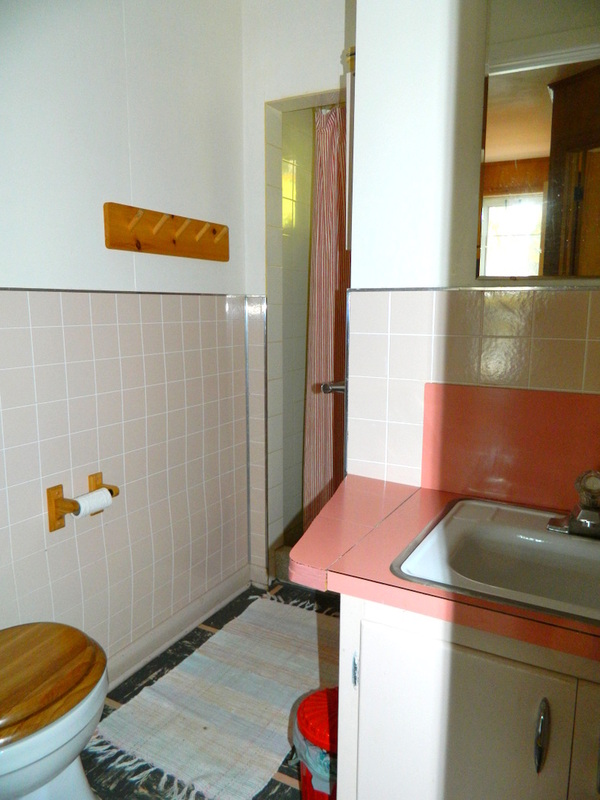 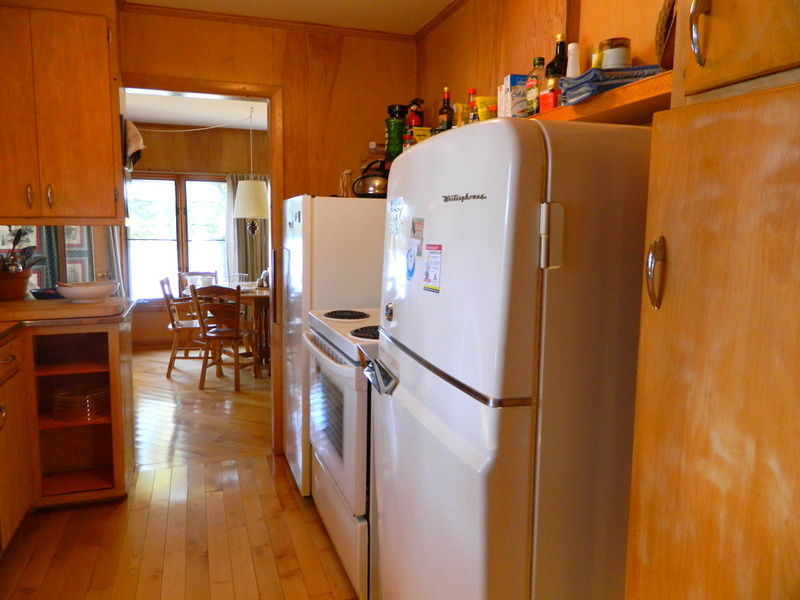 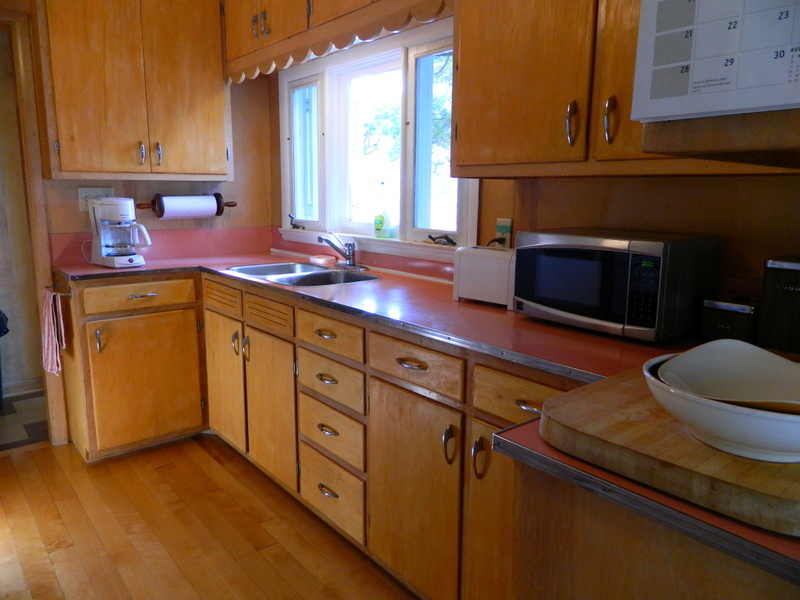 The cottage interior is paneled with solid birch and has a recently installed hardwood floor. 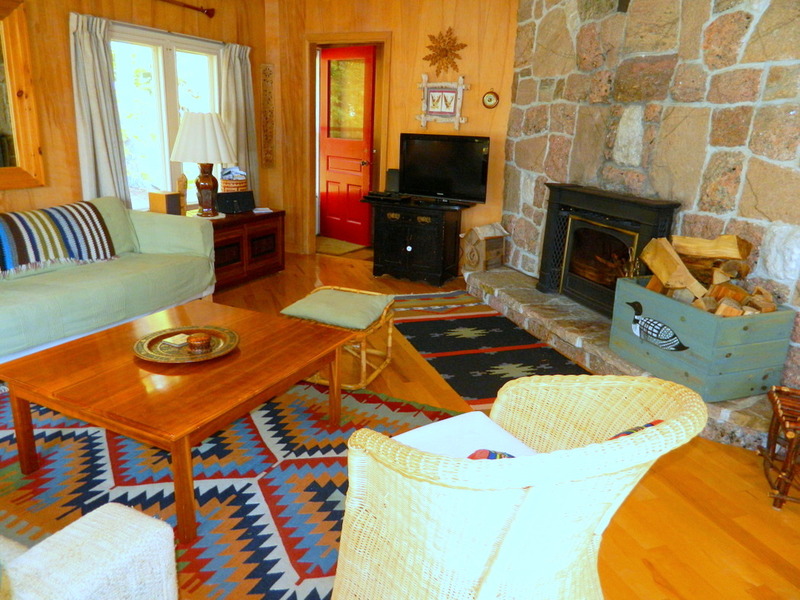 The living room has a wall of windows facing west onto the lake as well as a floor to ceiling fieldstone wood fireplace for those cooler evenings. 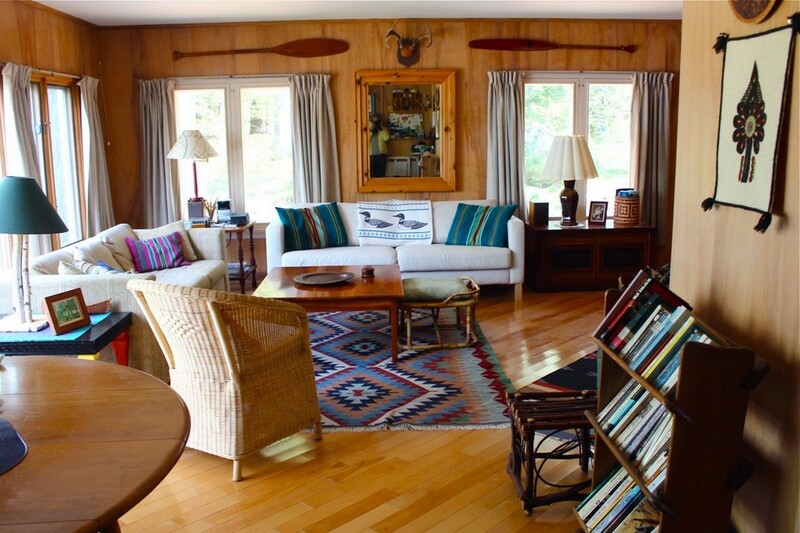 A flat screen TV and a marvellous collection of DVD's is available for your evenings and rainy days (our daughter, an award-winning screen writer, is an Emmy judge and these judge's DVDs are best network TV shows for your viewing pleasure). 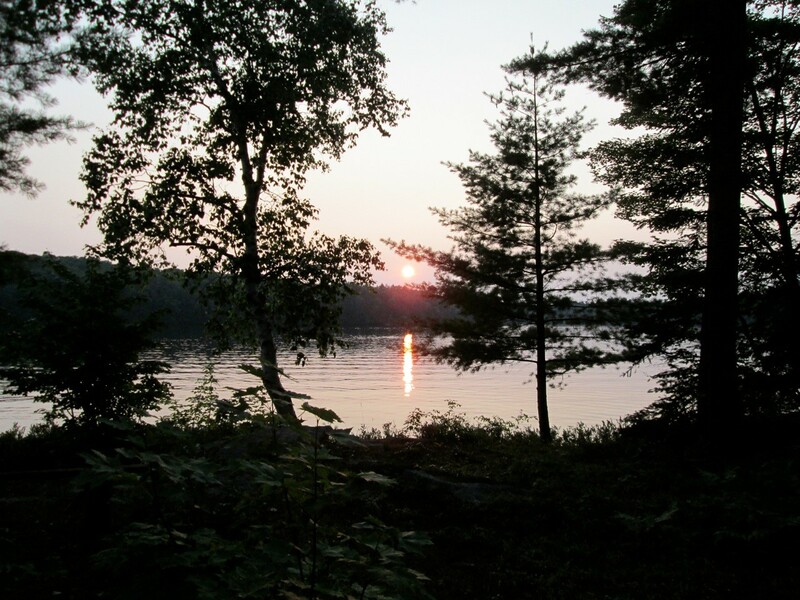 We also have an excellent selection of novels on hand. 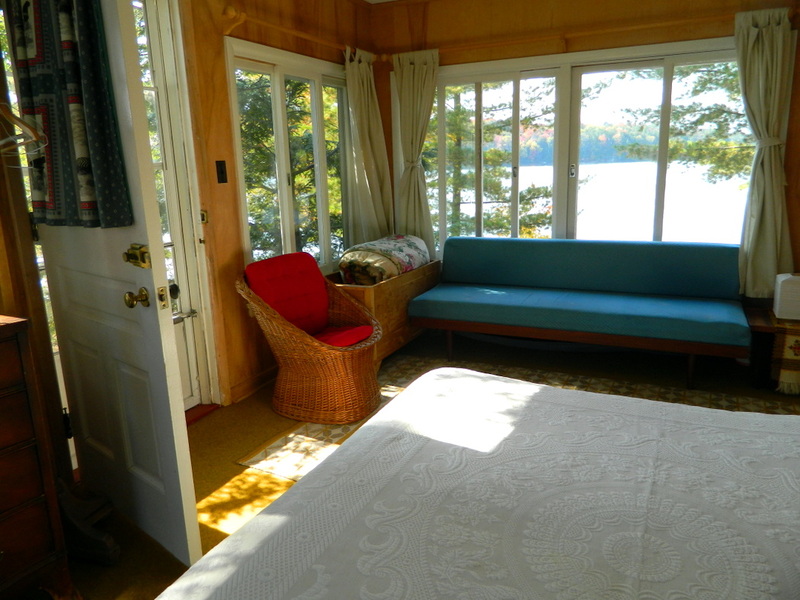 The cottage also features a bright and spacious sunroom, which has been converted to a third bedroom with a private walkout door leading to the deck. 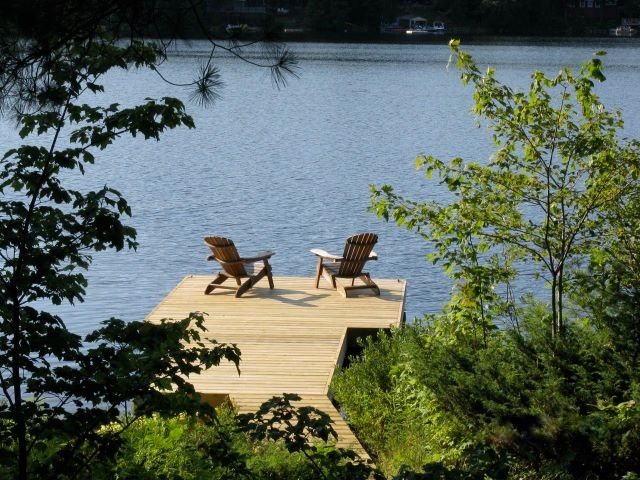 The deck is an ideal place for breakfast and lunch and seats six. 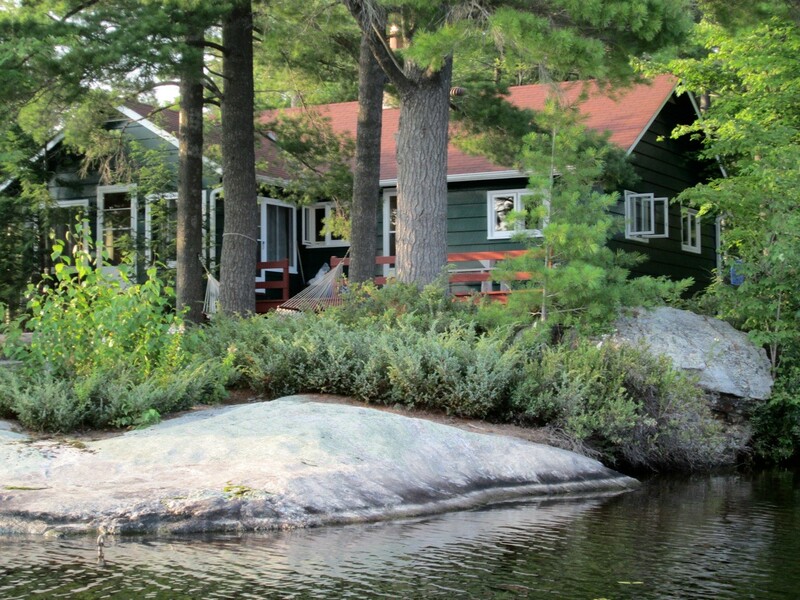 LOCATION: The cottage is about 2 hours from Toronto. 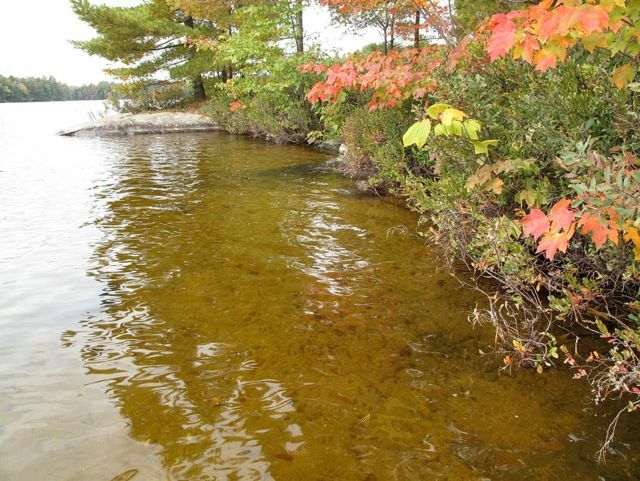 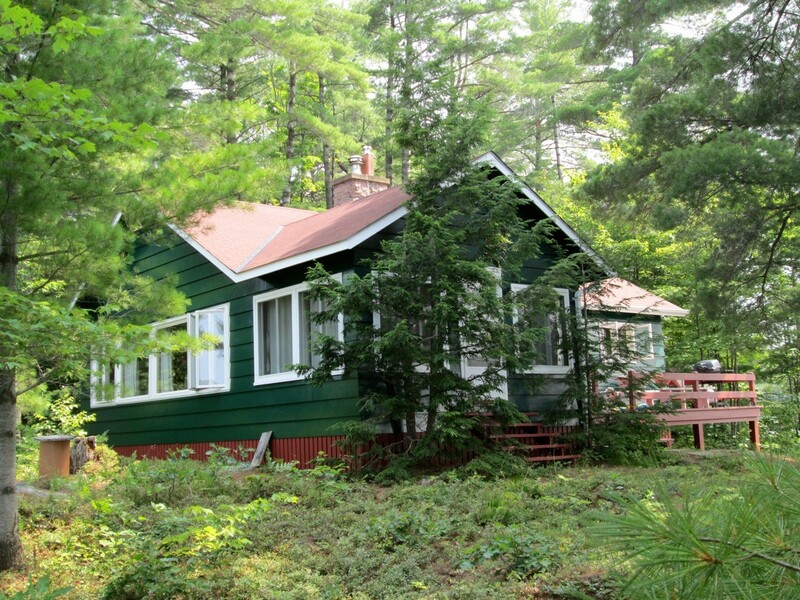 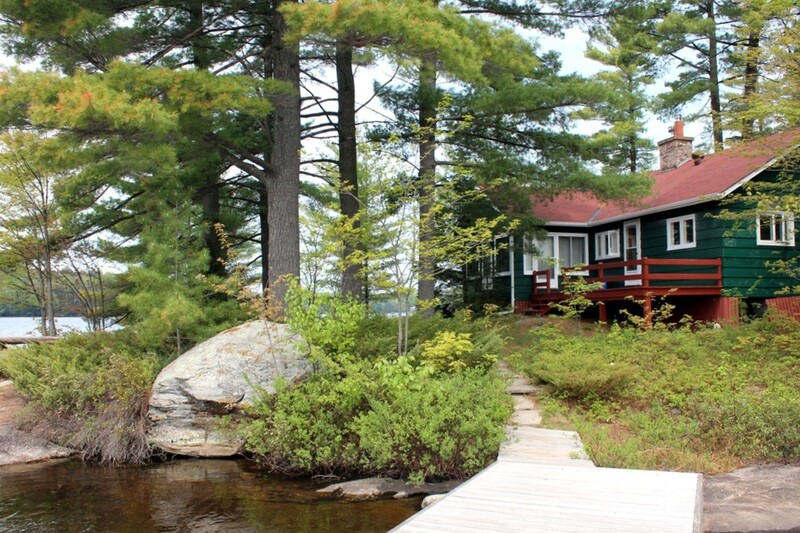 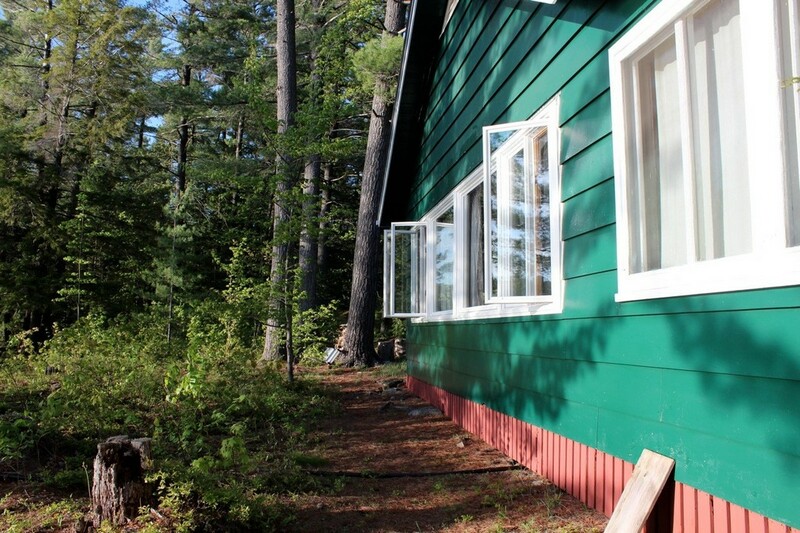 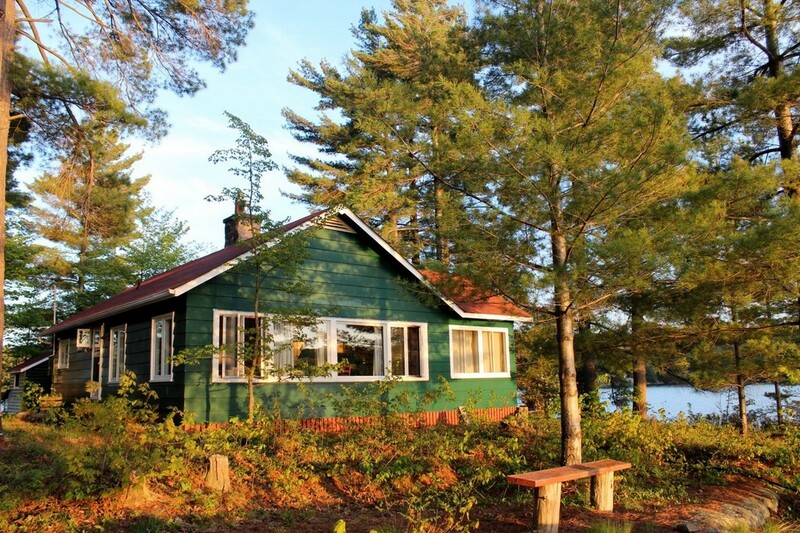 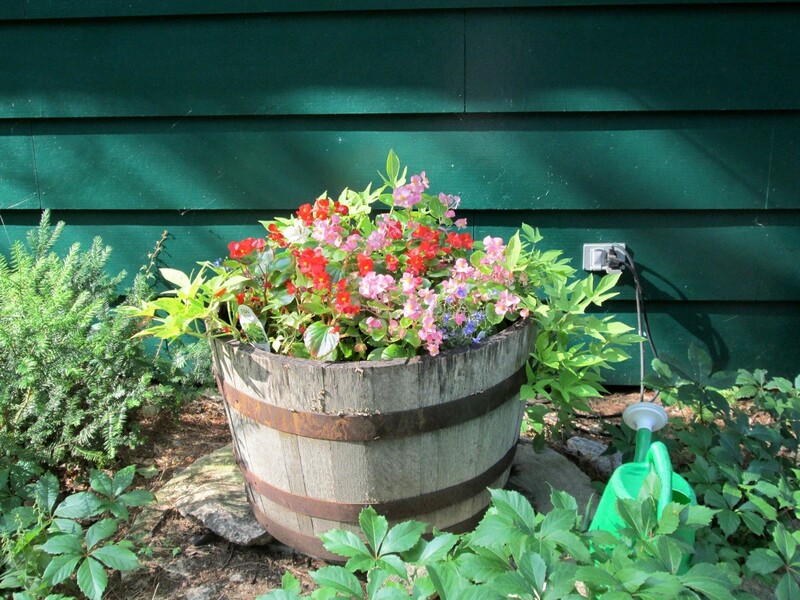 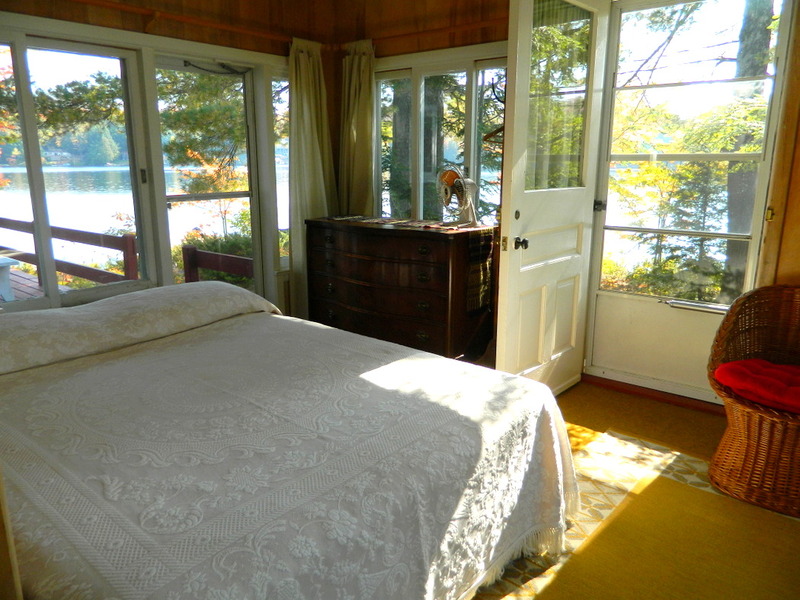 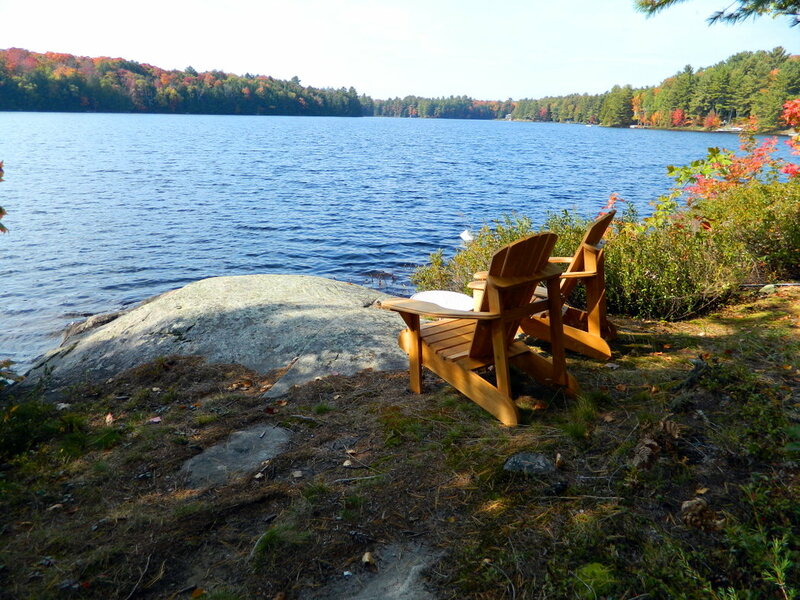 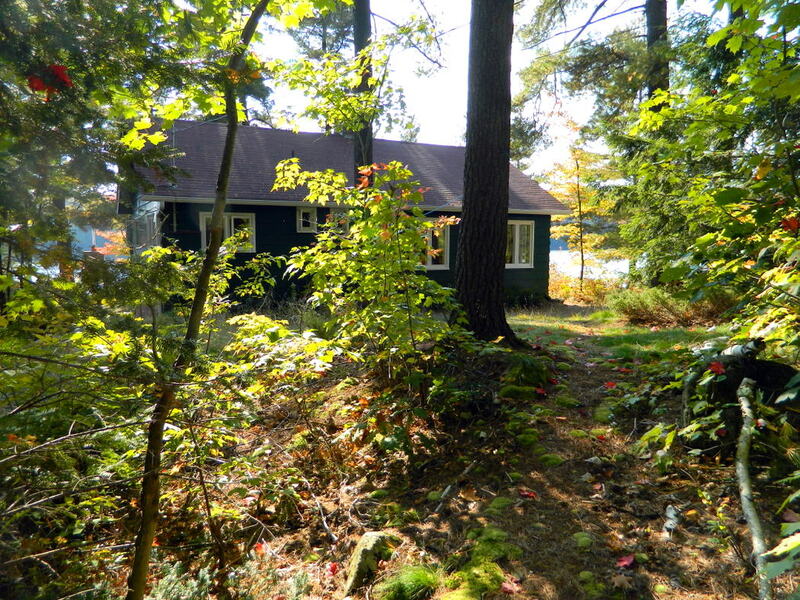 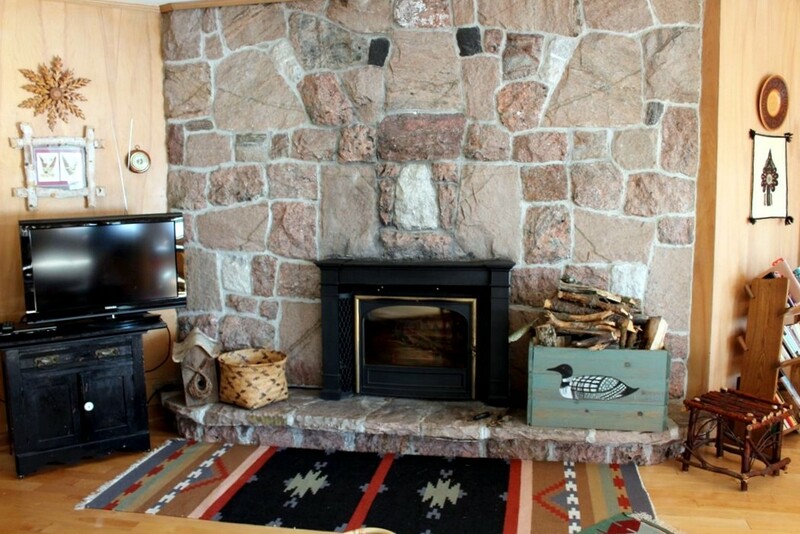 Centrally located in Muskoka, the cottage is within a 20 minute drive of Port Carling, Bracebridge and Huntsville. 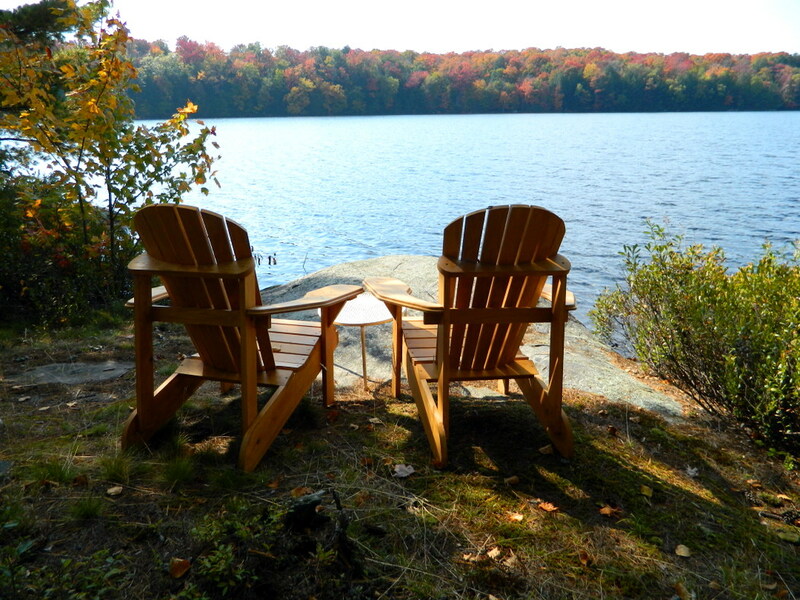 Bracebridge and Huntsville have hospitals, churches of all denominations, supermarkets, drugstores, cinemas and museums. 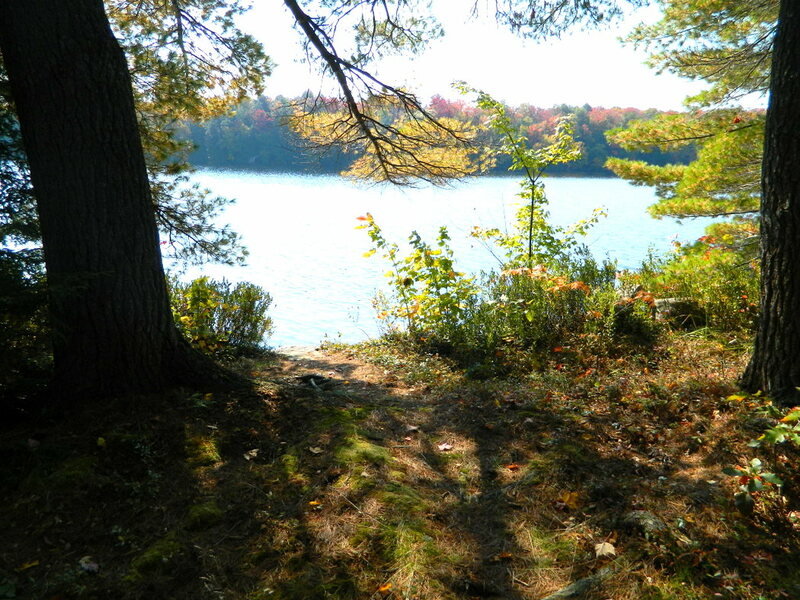 The area has great golfing, boating, hiking, cycling and other tourist attractions. 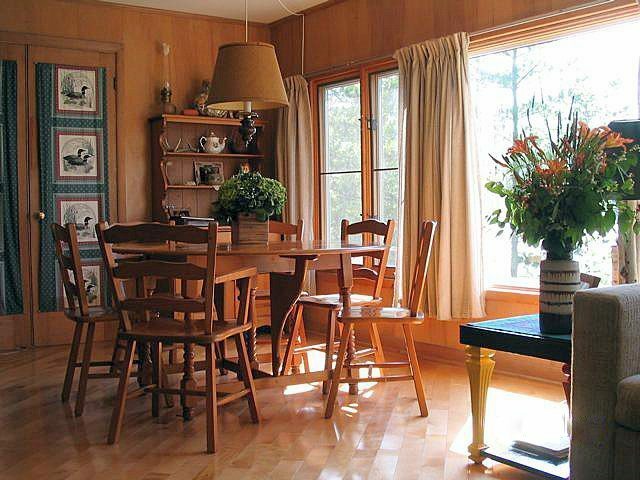 We have a full collection of brochures and maps that will guide you to a varied and entertaining vacation. 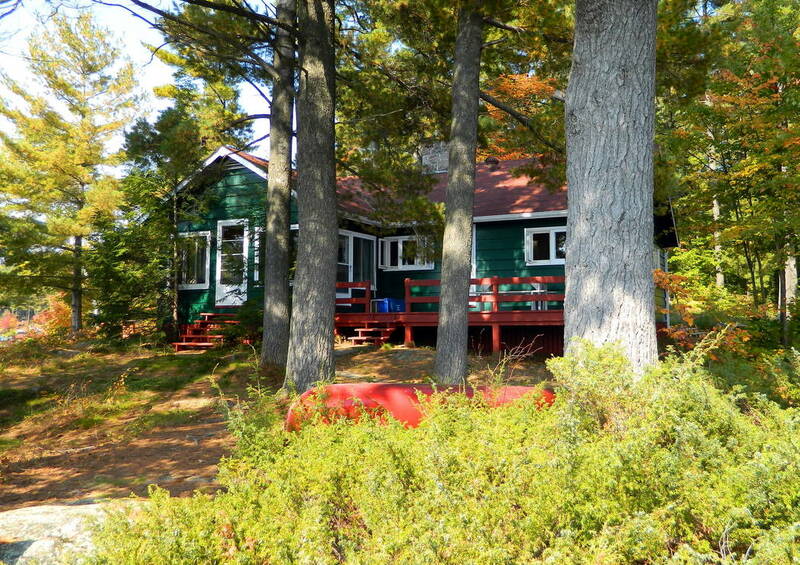 No pets, no smoking, maximum number of occupants is 6 in the cottage, bring own linens and towels, bring own drinking water, noise restriction after 11 PM.